The aesthetic, uniqueness of the Dolomites is further enhanced in the gleaming light of winter. Indeed, this wonder of nature can be observed from the most extensive ski-circuit of the world, though only as a backdrop with disco-music blasting out in the background. Whoever wishes to immerse themselves in the tranquil atmosphere of the rugged Zinnen, and swing over wide, untouched corries, should not miss this opportunity of joining us. 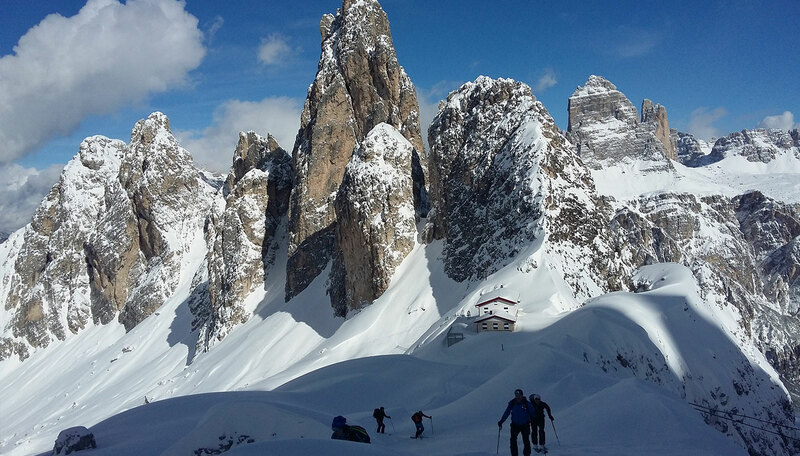 Come and discover the joys of skiing on the special ascent and descent routes in our majestic, native mountains. The departure point is a comfortable hotel in Prags/Pustertal and our intended goals lie between the Drei Zinnen, Cortina and the Pragser Wildsee.